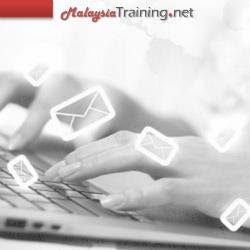 This elementary course is suitable for anyone especially supervisors, operators, line-leaders, clerks, technicians and even junior management staff who have basic knowledge of the English Language and wish to enhance their competency and usage through email writing. Register before 18 Mar 2019 for only RM799 per person. Register before 18 May 2019 for only RM799 per person. Register before 15 Jul 2019 for only RM799 per person. Register before 16 Sep 2019 for only RM799 per person. Over the last few years, emails have started to have huge impact on our professional and personal lives. They often replace a telephone conversation or a letter and many of us have to deal with hundreds each year. Just as in a letter or a conversation, you need to remember who you are talking to so that you sound appropriate. On top of that, they are very often in English, making it more and more important to be able to understand and reply quickly, efficiently and accurately.